I knew about meditation before discovering Peace Revolution, but at that time, I was not that disciplined to meditate every day. So, Peace Revolution not only helped me cultivate discipline but also, gives me a totally different method to calm my mind. The simplicity of the method rivals its effectiveness. I used to visualize during my meditation but the visualization of an object at the center of the body is more accurate and provides a deep insight of the inner body. The center of balance! The famous center of the body is the jewel that makes the method unique and exceptional. It is true that it is difficult sometimes to find it but once it is found, the whole being vibrates with the rhythm of the universe, what a nice experience! 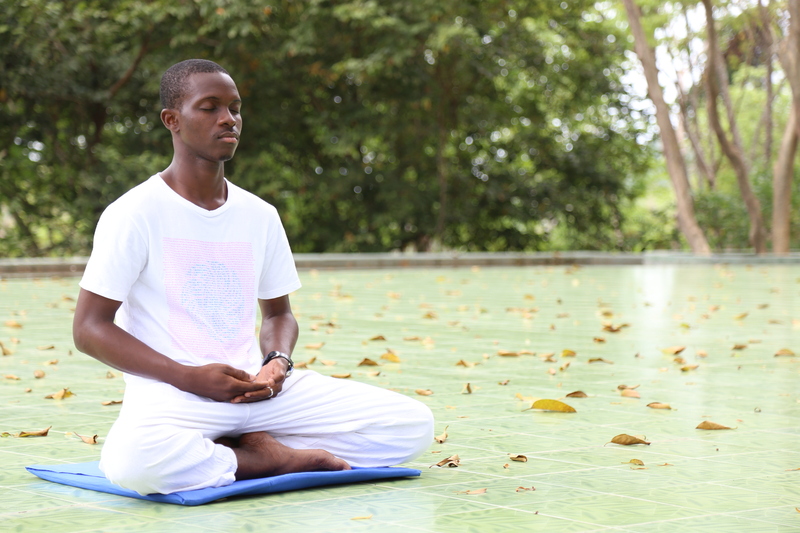 I was involved in various methods of meditation, which have had their impact on my life. But, when I started to meditate with my mind focus at the center of my body, I noticed a radical change in my life. At a time in my life, I was overwhelmed with negative thoughts and emotions, stress related to work and study, and anxiety about the future. But when those things were happening to me a voice deep inside never stopped to tell me that I deserve to be happy. I also kept restlessly repeating in my mind a famous quote I learned from my professor of philosophy, that our outer world is the reflection of our inner world, thus; anything we wish to witness in the world must first happen in our mind. I did not know much about the importance of inner peace, though. Therefore, I decided to seek it and notice the change it could bring to my life. This quest made me try various methods of meditation until I discovered the one that suits me best with Peace Revolution. In the beginning, it sounded weird to me hearing about connecting to the center of the body as a way to create peace within, and I wondered how one can bring the mind which is not tangible to rest at the center of the body. I was excited at the idea to achieve something great, then I kept on trying every day and most importantly I applied the lessons I learned during my self-development program and during my first fellowship in Thailand. The most important ones are about mindfulness and letting go, I did not know what great impact the observance of these lessons could have on my life and the quality of my meditation, as well as my ability to find the center easily until I started to feel effectively their effects. From that moment on, I became a different person as I care more about myself, I develop a more deep relationship with myself and the others. I started to be more watchful of my thoughts and remain alerted when negative thoughts and emotions try to invade my being. Henceforth, I envisage the future with much more serenity as I live as much as possible in the present moment, and above all, I have definitely found the best tool to reduce stress in my life. Today I meditate at least one hour every day and I give way to the infinite possibility of the universe to express in my life.